Welcome to Dermal Store, the online store for cutting edge science based cosmetics products that are changing the face of anti-aging skin and hair care. The products featured on this site utilize adult stem cell derived sciences to active the body's own repair mechanisms in a ways no other products can. Our skin and hare care product lines feature stem cell derived media that include human growth factors and cytokines, also known as growth factor cosmeceuticals, that reduce and reverse the signs of aging by reducing fine lines and wrinkles; and in the case of our hair products, promote hair growth and natural coloring. While the results from our testimonials may sound so fantastic that they are hard to believe, the secrets behind our cosmetics lines are simple and logical: provide the body's natural repair system: stem cells, with the "food" that we lose as we age. Human Adipose Stem Cells (ASC): Adipose tissue is an abundant source of mesenchymal stem cells, which have shown promise in the field of regenerative medicine. During the past decade, various clinical trials have shown the regenerative capability of adipose-derived stem cells in a variety of medical fields such as plastic surgery, cardiac surgery, orthopedic surgery, oral and maxillofacial surgery. Nano-encapsulation: is a unique technology in which the active ingredients delivered by adipose derived stem cells are embedded within a sphere. The outer layer of this sphere consists of components similar to those found in your the cell membranes. This dramatically enhances the penetration of these biomolecules into the skin cells. Additionally, it prevents these growth factors/cytokines from becoming degraded by proteases present in the formulation. Our Medical Director, Dr. Nima Shemirani is a Board Certified head and neck surgeon who specializes in facial plastic surgery and ENT (ear, nose, and throat) procedures. Dr. Shemirani earned his medical degree from the prestigious Medical College of Wisconsin, and completed his residency in Otolaryngology. He then proceeded to secure a fellowship at the world-renowned Glasgold Group in New Jersey, working alongside some of the best in his field, gaining exceptional knowledge and experience in the craft of Facial Plastic Surgery. Additionally, Dr. Shemirani has been honored in RealSelf’s Top 100 list for the past 3 consecutive years, putting him among the top 2% of this 6,000-member community. This notable achievement is testimony to his commitment to delivering the highest quality patient care. 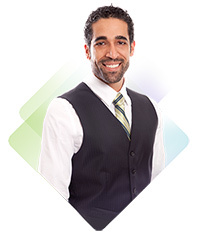 It is his passion and dedication to provide not only the best results possible, but also diligently serve the needs of his patients by identifying the best cosmeceuticals for his patients. He chose to become a facial plastic surgeon because it allows him to combine medical science and surgical skill with an artistic eye to literally change lives from the outside in. Seeing patients in follow-up who are pleased with their results is the most satisfying part of Dr. Shemirani’s work, and it is the very thing that drives him to continually improve his practice of medicine. 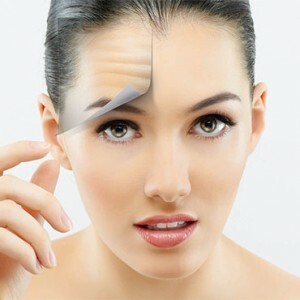 Why use stem cell derived media in anti-aging skin and hair care? Are these anti-aging stem cell cosmetics safe? Adipose (“fat”) Stem Cell derived cytokines and growth factors are completely safe. They are the identical proteins found and produced within your skin.